Cow’s Creamery – a Prince Edward Island institution – made a name for itself with a line of outstanding house-made ice creams. 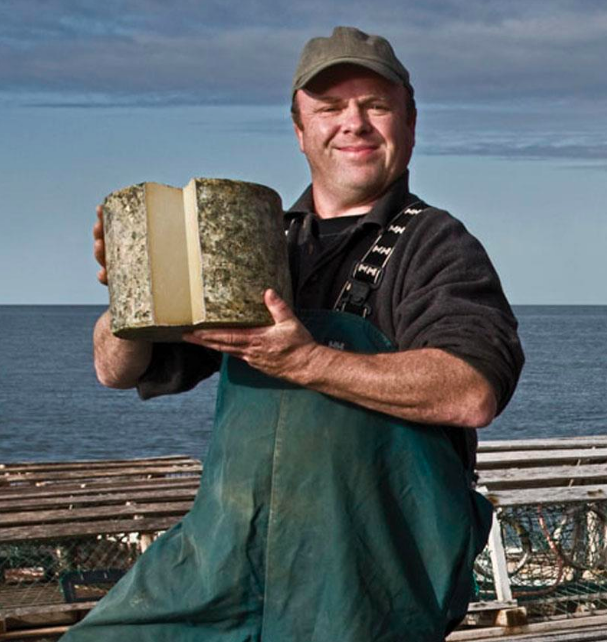 But in 2006, the company branched out and began producing cheese. Cow’s cheesemaker, Armand Bernard, has proven the cheese factory is no side business – his Extra Old Cheddar and Avonlea Clothbound Cheddar have won rave reviews and awards from the Canadian Cheese Grand Prix and the American Cheese Society, with Avonlea taking the Cheese Of The Year Award in 2016 at the Canadian Cheese Awards.